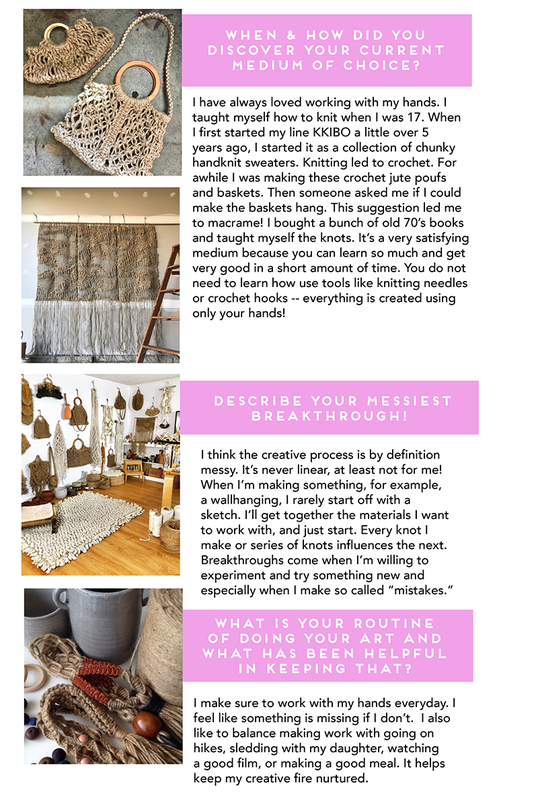 We love macrame... and Jo Abellera is the QUEEN of fiber art, macrame and so much more. We are delighted to have her a Featured Artist this week AND teaching a workshop this weekend. Be sure to follow along her exciting adventures on Instagram and come see us this weekend for her workshop! inspired artisan’s eye. Natural fibers (wool, alpaca, jute and rope) are transformed into work that exudes a deep individuality and an easy, sensual beauty.